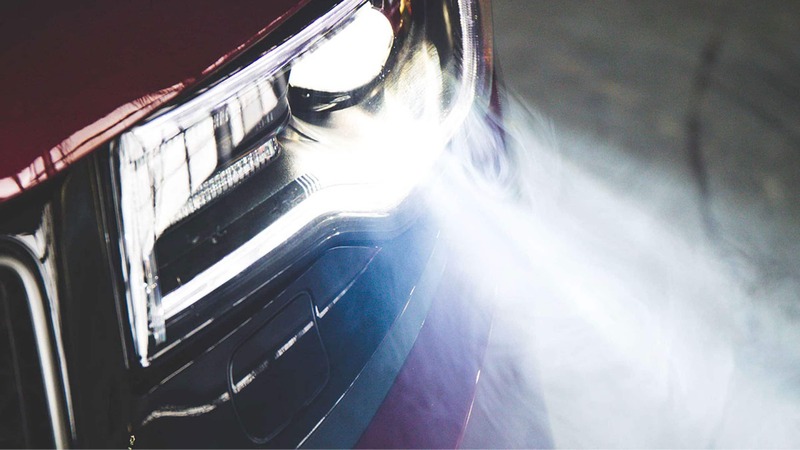 Many new features and technologies have been added to the 2019 Jeep Grand Cherokee. 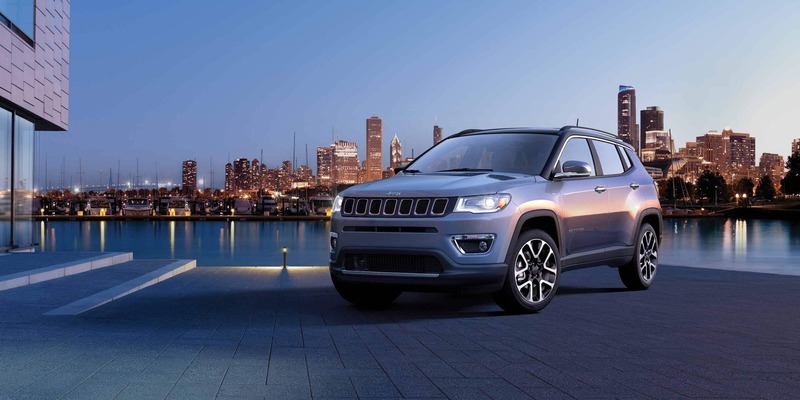 Some of these would include new standard safety features like rear cross path detection, while others are more comfort and enjoyment focused like the Uconnect 8.4-inch touchscreen, a navigation system, and Apple CarPlay. Additionally, the new 2019 model also comes with three new options for exterior paint color. These colors would include Slate Blue, Green Metallic, and Sting Gray. Which safety features come included? 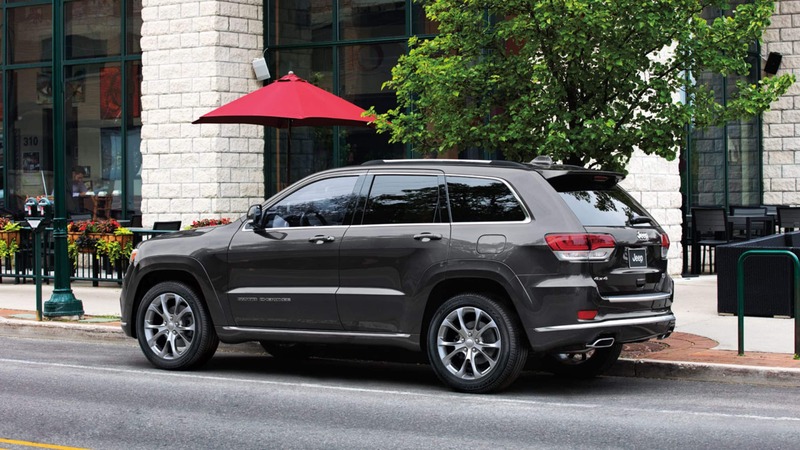 Standard across the board are certain safety and security features built for the ultimate in driveability. Some of these standard features would include the advanced supplemental front-seat side airbags, hill start assist, the rain brake support, advanced side curtain airbags, ready alert braking, electronic stability control, driver's side inflatable knee bolster, brake assist, blind spot monitoring, electronic roll mitigation, advanced multistage driver and front passenger airbags, remote keyless enter n' go, sentry key antitheft engine immobilizer, trailer sway control, and all-speed traction control. 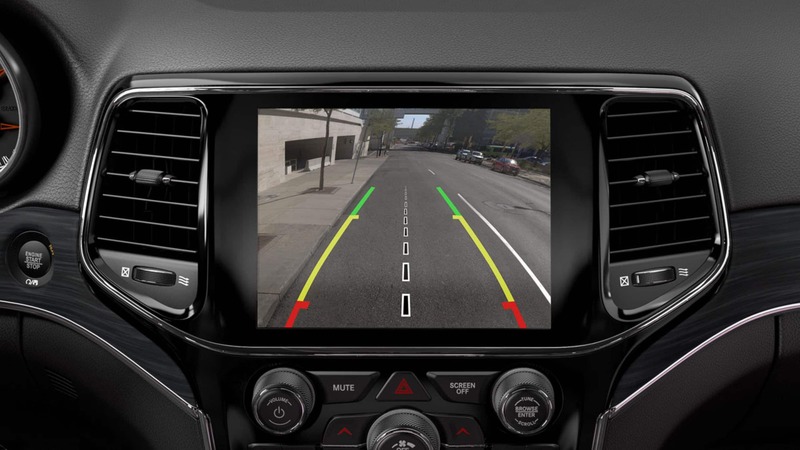 Additional features you can find standard on upper-level trims or from within packages are adaptive cruise control with a stop function, forward collision alert, rear cross path detection, parallel and perpendicular parking, rear parking assist, selec-speed control, and a universal garage door opener. What are the possible engine options? 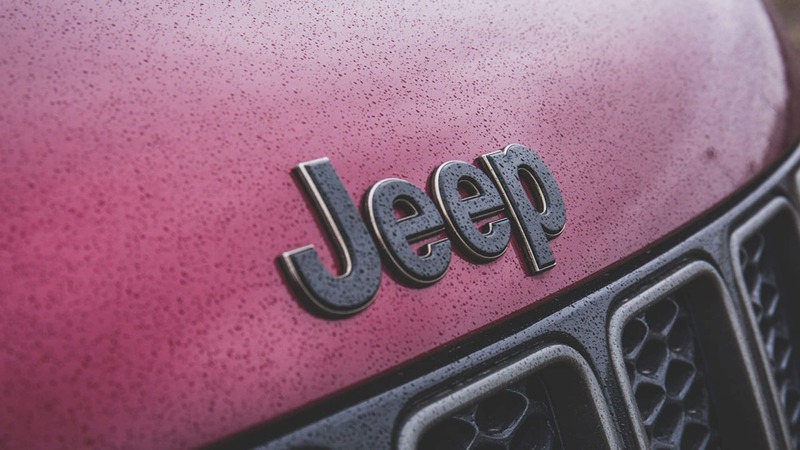 A total of five possible engines can be found under the hood of the 2019 Jeep Cherokee. Standard on the first five trims is the 3.6-liter Pentastar V6 with variable valve timing. The second two engines, the 3-liter EcoDiesel V6 and the 5.7-liter V8 with fuel saver technology and variable valve timing, are available as options to these first five trims as well. 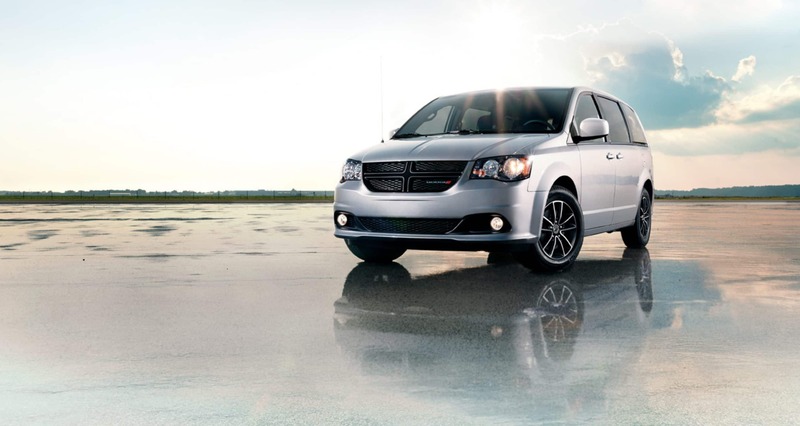 The fourth engines, the 6.4-liter V8 SRT with fuel saver technology is found standard on, of course, the SRT trim. While the final engine, the supercharged 6.2-liter V8, is found only the Trackhawk trim. Each of these engines is wonderfully paired to an eight-speed automatic transmission. Multiple traction management systems are available as well with off-road capabilities, and a 24.6-gallon fuel tank to keep you adventuring all day long. 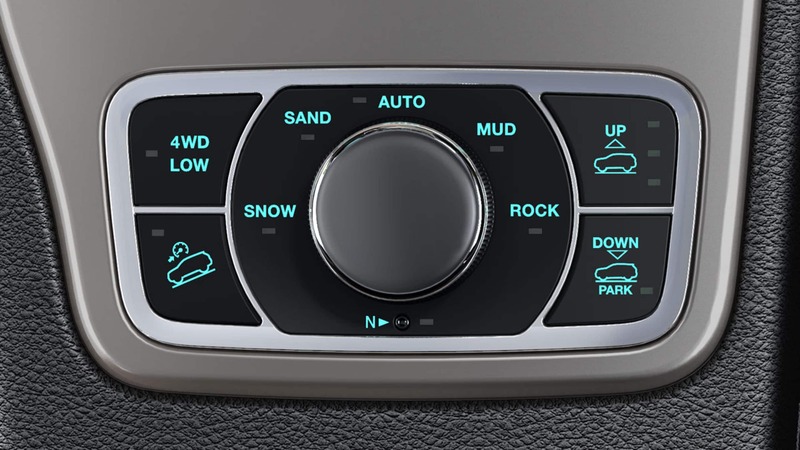 The 2019 Jeep Grand Cherokee can be found in a total of five different possible trim options. Standard on the first trim level, the Laredo, are items like a body-color liftgate spoiler, daytime running lights, premium foglights, power mirrors, 17-inch aluminum tires, speed sensitive wipers, a rearview mirror with microphone, cloth upholstery, a leather-wrapped steering wheel, and a fold-flat front passenger seat. The Limited trim is next with added features like a 115-volt household style outlet, SiriusXM radio, a USB port, a heated steering wheel, heated front seats, an eight-way power driver seat, leather trimming, and a memory system. 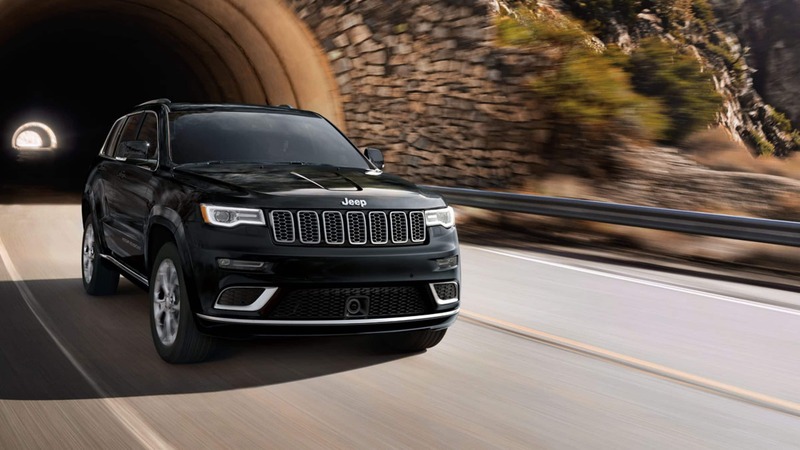 The Trailhawk adds leather/suede seating, an Alpine premium audio system, 18-inch off-road aluminum tires, a roof rack in natural grey, and an all-terrain package. The Overland trim brings in 20-inch aluminum tires, rain-sensing windshield wipers, perforated Nappa leather-trimmed seating, a power tilt-and-telescoping steering wheel, and a wood and leather steering wheel. The Summit trim brings on extra features like Natura Plus leather-trimmed seating, a Harman Kardon 19-speaker system, a deluxe cargo compartment, and performance all-season tires. The second to last trim level is the SRT. This trim comes with black roof molding, premium LED foglights, headlight washers, auto-dimming side mirrors, 20-inch Satin Carbon split-spoke tires, and a leather-wrapped performance steering wheel. The final trim tops everything all off. 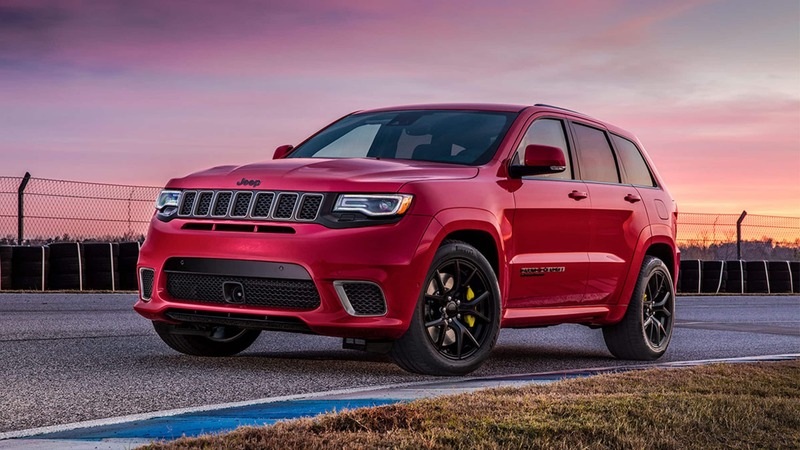 The Trackhawk is fully loaded with features like suede/Nappa performance seats, 20-inch forged polished wheels, gloss black inserts on the grille, and multiple extra driving aids to help with the off-roading fun. 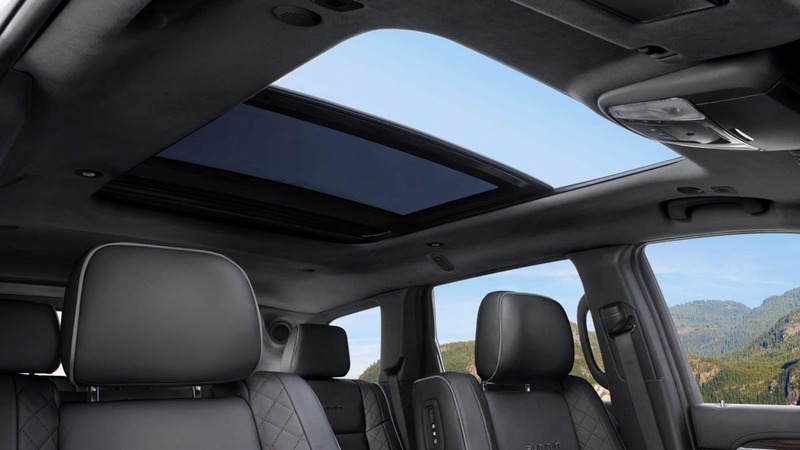 The 2019 Jeep Cherokee brings all the things you love into one neat little package. 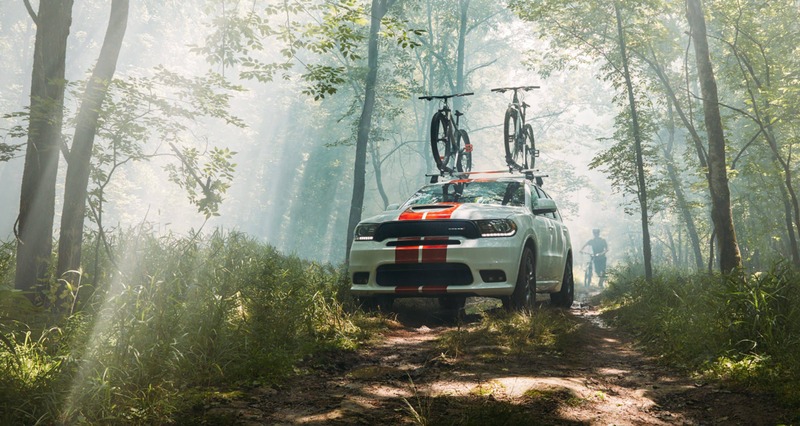 Easy to drive both on the road and in the woods, this vehicle has it all. You can go exploring with ease and switch back to a comfortable and capable on road SUV in no time flat.